A Doncaster widower who held a garden party to raise cash for St John’s Hospice at Balby has just handed over £1,337. 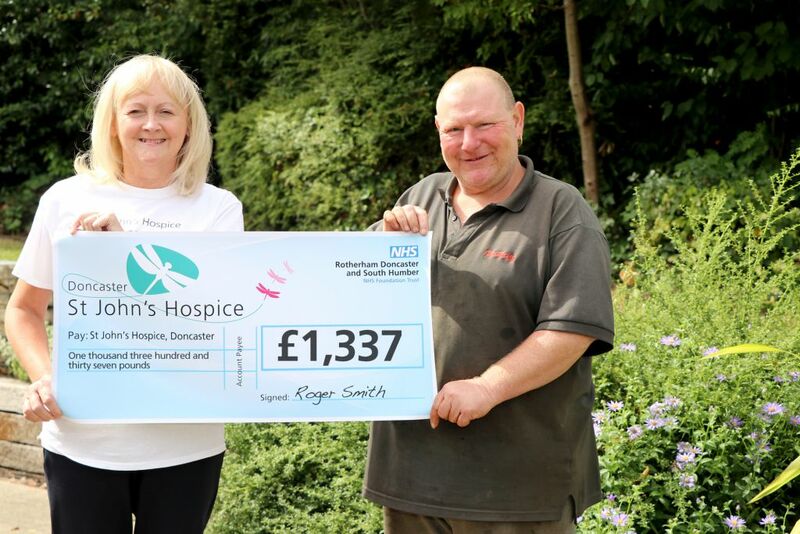 Roger Smith (53) of Bentley, owner of Fencing 4U, raised the cash from people who bought raffle tickets at a garden party and from a donation. It means over the last three years he’s raised a staggering £7,414 by holding three garden parties and three northern soul and motown events. Roger started fundraising for St John’s after his partner Cheryl received hospice care there. Roger now has plans well underway for his fourth northern soul and motown event, which will take place on November 24 from 7.30pm at Hawthorn Club, Cantley, Doncaster. Tickets are £5 each and are available by calling Roger on 07752517471. Roger is pictured (right) handing over £1,337 to Lindsey Richards of St John’s Hospice.